The Los Angeles Lakers put together one of their better victories of the season Thursday night, defeating the Philadelphia 76ers behind a huge night from Brandon Ingram. Not only did he hit the game-winning 3-pointer, but he also put together an all-around performance that the coaching staff hopes is an indicator of what is to come. This momentum can be a key boost for a young Lakers team, as they take on the struggling Charlotte Hornets in the second of a four-game road trip. With a 9-15 record, the Hornets find themselves at the bottom of the Eastern Conference. After avoiding what would have been another fourth-quarter collapse, Lakers head coach Luke Walton can now steer this roster through another difficult portion of the season. With upcoming games against the Cleveland Cavaliers, Houston Rockets, Golden State Warriors, and Portland Trail Blazers, another win under their belt would only help increase the morale of the team. At the same time, the roster must continue to put up strong results night in and out, with this team showing what they are capable of when guard Lonzo Ball can have success orchestrating the offense. The Hornets found themselves a franchise player in Kemba Walker, an aggressive playmaker that is in the conversation of best handles in the NBA. Known for his killer crossovers and trademark stepbacks, Walker is the conductor of the team, with his team heavily relying on his contributions. On the second game of a back-to-back, the Hornets will have to put together a complete effort to keep up with the up-tempo Lakers. Michael-Kidd Gilchrist, still with his unorthodox shot, plays alongside Walker in the backcourt. The all-around player doesn’t necessarily need his shot to fall to be effective, using his length to crash the glass and stifle the opposing team on offense. Interim head coach Stephen Silas, son of basketball legend Paul Silas, has a plethora of former first-round picks in the backcourt that can all affect the outcome of a game on any given night. This year’s draft pick Malik Monk, Michael Carter-Williams, and Jeremy Lamb will each see minutes opposing the Lakers young bench, each with a specific skill set of attacking and creating. With solid perimeter defenders, the Lakers will have to capitalize on ball movement to create open shots, facing a team that prides itself on defense and lateral quickness. Ball, coming off a near triple-double against the 76ers, will once again need to find the appropriate balance between attacking to score and attacking to create, as he did on the final play that sealed the victory. Kentavious Caldwell-Pope’s increased confidence has paid dividends for the Lakers, providing that shooter that can space the floor while Ingram and Ball capitalize off the pick-and-roll scenarios. At the same time, his spectacular defense will likely be paired against Walker Saturday evening, making for an interesting matchup. Off the bench, Jordan Clarkson and his speed will also be a pivotal factor in the outcome, with 16 points on 6-for-11 shooting against Philadelphia. Walton continues to instill more snap decisions from his guard, to limit his turnovers and help the Lakers find the open man off ball rotations. 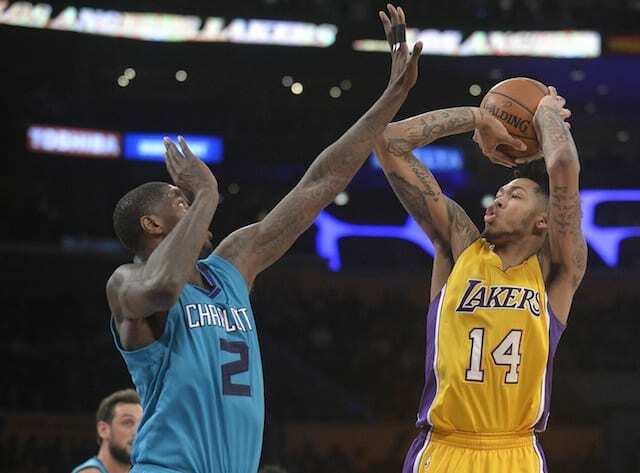 The Hornets frontcourt is pillared by a name familiar to Lakers fans, Dwight Howard. The big man has had a renaissance of sorts with Charlotte, coming off of a monster night against the Chicago Bulls with 25 points, 20 rebounds, and six blocks. 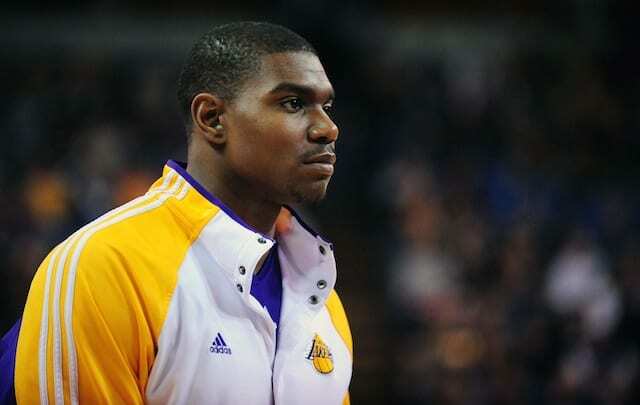 His verticality, poise in the paint and sheer strength make him a top-notch interior defender, which will be an interesting test for Brook Lopez and the attack Lakers forwards. Veteran Nicolas Batum remains a player that demands respect on the court, with the Frenchman playing with a smooth style on the court and distributing for his teammates even when his shots aren’t falling. The Hornets have assembled somewhat of a positionless lineup around Howard, with Kidd-Gilchrist, Batum and others all switching constant screens and defensive matchups. Forward Marvin Williams, the second overall pick in the 2005 NBA Draft, enters his fourth season with the Hornets as another presence around the paint, crashing the glass with a purpose. When opposing a physical specimen like Howard, the Lakers have to attempt to get him in foul trouble through their post offense. Lopez has shown that he doesn’t back down from any challenge, including some spectacular moves in the post versus the likes of Joel Embiid. Although his 3-point shooting has been sub-par, he can accelerate a Lakers victory if he can get Howard in early foul trouble. Ingram, coming off of 21 points, seven rebounds, and six assists, took a step in the right direction with his previous performance. Los Angeles has looked to the second-year player as a potential closer for this team, creating some much-needed momentum going into a difficult stretch of the season. Larry Nance Jr. remains the hustle player for Los Angeles, strictly using his determination to succeed on the court. His basketball IQ and ability to distribute the basketball make him a threat on the court when properly executing their offense, while proving countless times that type of finisher he is at the rim. Julius Randle and Kyle Kuzma will also provide a necessary scoring punch off the bench for the frontcourt, each affecting the game in different ways. Randle can capitalize against the interior of Charlotte when Howard is resting, using his athleticism and pure strength to bully opponents. On the other hand, Kuzma’s shooting stroke and quickness off the dribble makes him an ideal partner to Randle. With Howard and Williams both excelling on the glass, the Lakers need to make a concerted effort to close each possession as a team with a rebound. By doing so, they then can have their outlets set in place and capitalize in transition by using their youth and agility to their advantage. One of the oldest fundamentals of basketball is that a ball being rotated around the court will always travel faster than an opponent’s feet. With many forward and guards that can switch picks, the Lakers need to exploit the Hornets defense by having quick ball rotations around the court to help find the open man. The Lakers are coming off of a potential season-altering victory, with huge implications going into a crucial stretch of the season. The importance of a win like this could be magnified when it comes to the playoff race in the Western Conference down the line, while also building momentum towards their oncoming opponents.